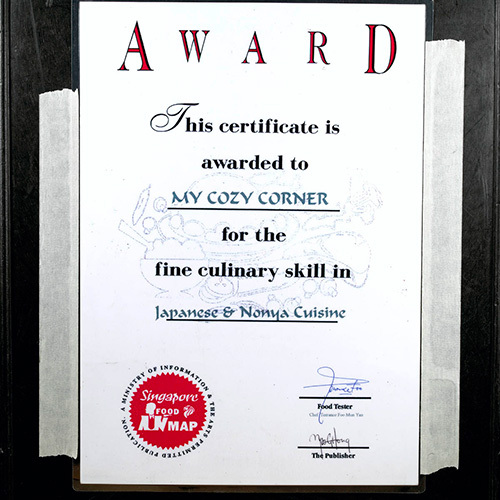 Enjoy tasty and authentic Nyonya style cuisine here at My Cosy Corner. 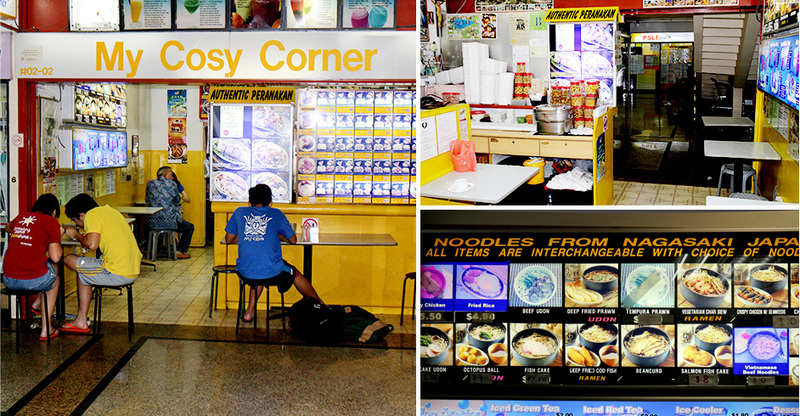 They serve a humble yet winning selection of Laksa, Mee Siam, Mee Rubus, Kueh Pie Tee and not forgetting their signature Popiah. Owner Leong Swee Meng adapted a recipe from his famous cookbook author aunt Leong Yee Soo. Each popiah is made to order, and served to you fresh and piping hot. What makes this particular popiah special is the generous amount of crispy bits made from parboiled rice that adds an additional crunch and interesting texture. The Peranakan owner uses Nyonya-style fiery and aromatic chili sauce that promises to leave you craving for more! Since 1998, My Cosy Corner has been a hit with their loyal customers comprising of students, office workers and residents living in the vicinity.